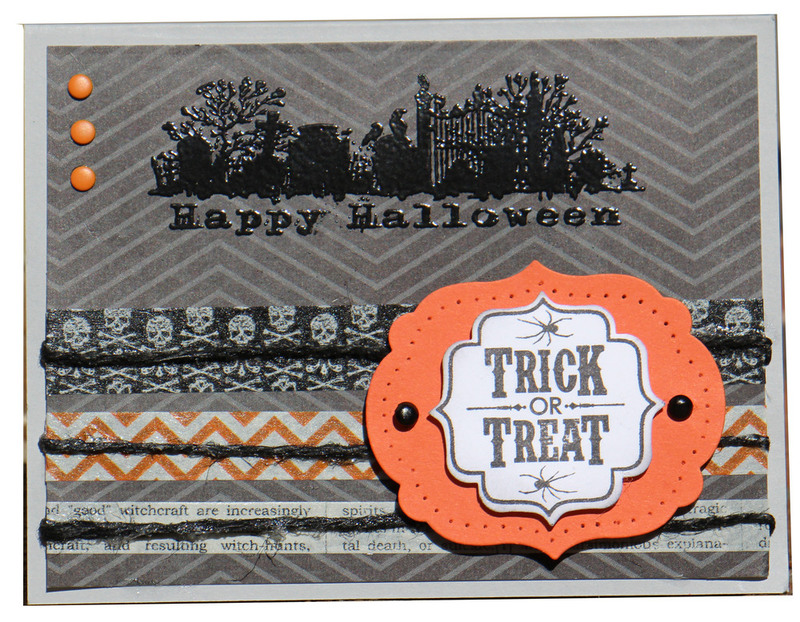 I received my goodie package in the mail today and could not wait to put to use my new Halloween washi tape. It just so happened that it came packaged as a set of three. The same exact number of stripes as needed for the challenge card! How perfect was that? I was amazed at how easy the washi tape was to work with. I made a card with just the washi tape, one with just the black twine and then this one with the twine atop of the washi tape. Bingo! I have noticed that there are scary Halloween cards and cute Halloween cards. This is a good blend of both scary and cute. Kind of like me when I first wake up…lol. To see the other cards in the PPA1 72 Sketch Challenge click here. Posted on September 19, 2013 by Martie Pollard.